Who says LEGOs are just for kids? I secretly love LEGOs. Since our oldest kids were quite young, I have been buying challenging LEGO sets which I pretend are for the kids, but I’m not fooling anyone. Now that we have some teenagers, they enjoy putting together difficult LEGO sets with their dad. I love that it requires some thinking, allows for social interaction, and uses no screen! Did I mention it gets teens away from electronic devices? Number of pieces and difficulty of build. How much time will be required to build this set and will the build be enjoyable? Presence and appearance. How does this set look once its built? Theme. Are you a fan of mechanics, Star Wars, superheroes, or world landmarks? Play-ability. Are you looking for a set to play with or just to display as a show piece? Price. Are you prepared to spend over $100 for a LEGO set? These sets are all over $100. If you are ready for less expensive set, check out our recommended budget LEGO sets. I will update this section weekly as information presents itself. 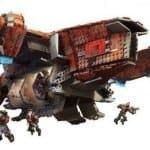 There are some great new sets coming that you can buy in 2019. Some of the new sets are from LEGO architecture, Star Wars, Technic, Creator, Disney, and the LEGO Movie 2. Corner Garage is available now (released January 1st) and is 2569 pieces. Lego Movie Apocalypseburg just released January 16th and is 3178 pieces. LEGO Porshe 911 RSR Racer Set just released January and is 1580 pieces. There are a lot of good LEGO sets of just about everything you can imagine, from favorite characters to landmarks to vehicles and everything in between. We have found the sets that are the most difficult, the most challenging out there. They contain tons of pieces and are as much of a puzzle as they are a toy. A good challenging LEGO set can take days worth of time for a teen or an adult to complete. Almost all of these large and challenging adult LEGO sets are over 1000 pieces, with some over 5000 pieces. These LEGO sets are probably the most challenging of any that are listed. I love these world landmark sets because while we build we can talk about why each landmark is important–a history lesson and family bonding time in one! Summary: This elaborate LEGO set is the most complicated and challenging out there. If you are looking for a 24-hour challenge, this will do it Unless you are a glutton for punishment, this set might be more ideal when built with two people. If you take it on by yourself, good luck and don’t say I didn’t warn you. 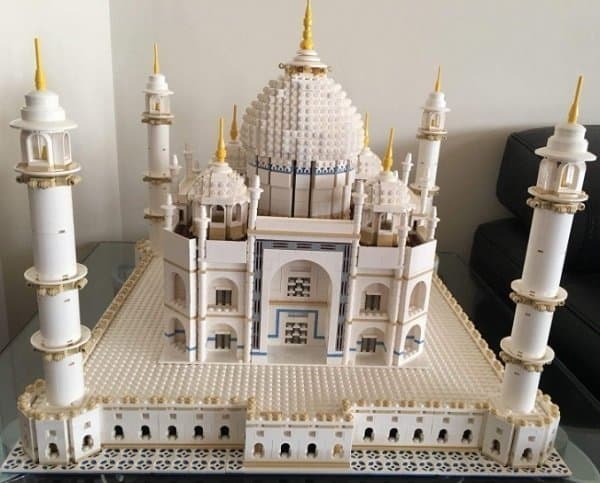 LEGO went all out with this white and gold Taj Mahal LEGO Set. This set is one of the largest LEGO sets ever built, with a whopping 5923 pieces! Every piece is needed to form this beautiful structure. Emperor Shah Jahan commissioned the Taj Mahal in 1631 in memory of his wife, the Empress Mumtaz Mahal. You can enjoy assembling this beautiful replica and then display the finished product and impress your friends! Any adult LEGO enthusiast would truly love this massive palace. Summary: Nothing says London or England more than the world’s most famous clock tower Big Ben. Big Ben is 315 feet in real life with clock dials 23 feet in diameter. This set is not 315 in height but feels large at 23” tall. 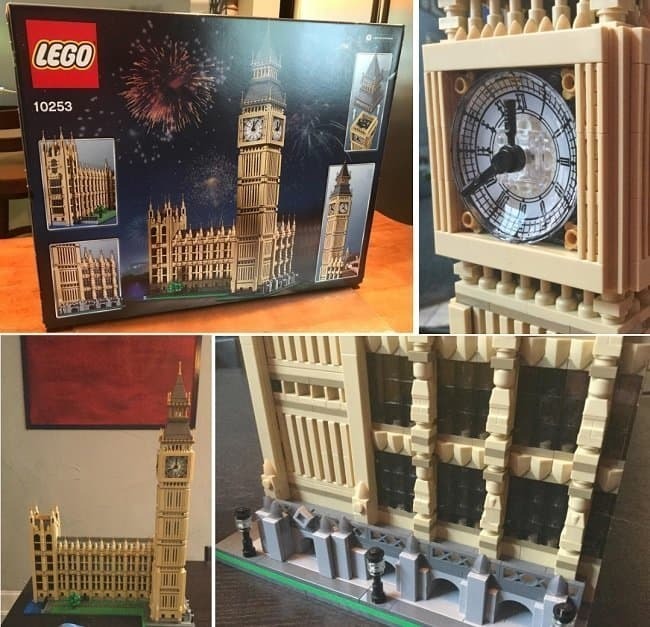 This incredible model of London’s Big Ben is an astounding 4163 pieces. Big Ben is a London cultural icon with its Gothic Revival Style. This Gothic style is poured into every detail of this complex LEGO set. The tree and lampposts add to the beautiful grounds of Big Ben. The tower roof can be removed in order to access the belfry. This huge LEGO set is a great sight when completed and makes a great decoration to any room. Be ready for hours of technical fun putting it together. Big Ben is sure to be a fun set to buy for any teen or adult. Summary: This replica of the London Tower Bridge contains 4287 pieces. It is recommended for ages 16 and up, but it is really doable for children 10 and up. 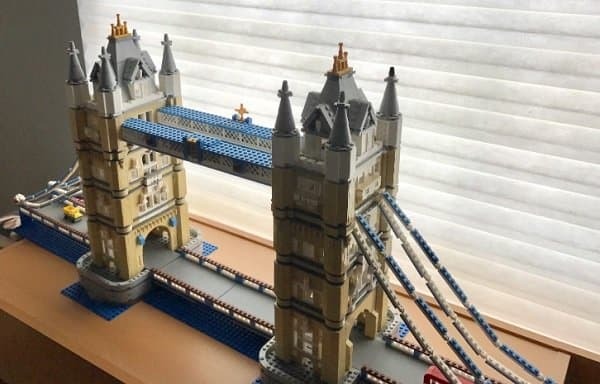 The finished Tower Bridge is symmetrical. Some find that enjoyable, while others prefer a bigger challenge. The working drawbridge is fantastic, and the set also comes with four mini vehicles including a taxi, truck, car, and double-decker bus. The final product is eye-catching, with great color contrast between the water and the bridge. Finished size measures over 40” long and is truly impressive once completed. Once assembled, the Tower Bridge can come apart in sections for easy moving. Summary: Build one of the most recognizable buildings in the world, the Sydney Opera House, designed by Danish architect Jorn Utzon. The Syndey Opera house is located on the beautiful Sydney Harbor. The large structure is meant to look like sea shells and is supported by hundreds of concrete piers. This complicated adult set is built out of almost 3000 bricks. 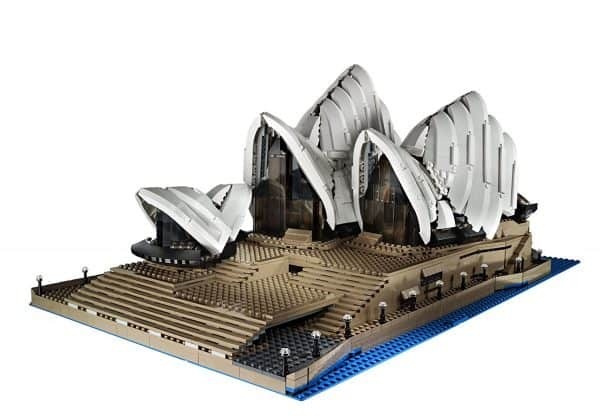 This LEGO set for teens and adults uses a variety of LEGO techniques in order to build the architectural shape of the Sydney Opera House. Prepare yourself for hours of LEGO build with your child or by yourself with this challenging set. Summary: This set is the smallest on our list, but we couldn’t pick LEGO world landmarks without including this amazing set of the home of America’s president. The White House was designed by James Hoban July 16, 1792 and selected by America’s first president George Washington. 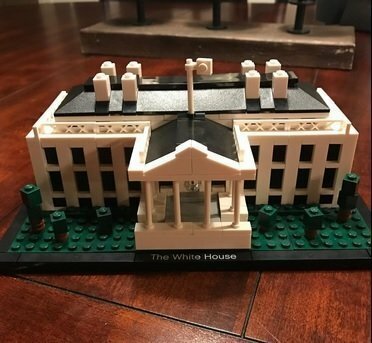 This set is not only a great looking set, but has wonderful details about the history of the White House. 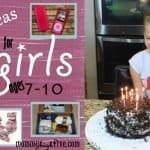 It is perfect for ages 10 and up. LEGO made the White House with 560 pieces, and it measures about 9 inches wide when completed. These LEGO vehicle sets are impressive to say the least. The details are incredible, and you will be proud to showcase your hard work. These sets are for show only; they do not lend well to being played with. LEGO vehicle sets often have available light sets (sold separately). They often have movable parts to complete the set (also sold separately). 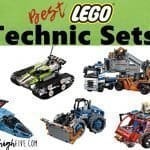 What is a Lego Technic Set? According to Wikipedia’s page on Lego Technics, “Lego Technic is a line of Lego interconnecting plastic rods and parts. The purpose of this series is to create more advanced models with more complex technical functions, compared to the simpler brick-building properties of normal Lego.” Technic allows those using the LEGOs to build complex mechanisms such as gear boxes, motors, or allow for mechanisms to be used that involve power. Summary: This cool Bughatti car LEGO set is truly remarkable–a piece of art that any car enthusiast would appreciate. It is extremely large and challenging for a car LEGO set, at 3599 pieces. LEGO engineers worked hand-in-hand with Bughatti engineers to make sure every detail from this beautiful car is present inside and out. This beautiful car measures over 5” (14cm) high, 22” (56cm) long, and 9” (25cm) wide. All 16 pistons in this set move up and down. The cockpit can be opened and features a Technic 8-speed gearbox with a movable paddle gearshift and a steering wheel bearing the Bugatti emblem. This is an absolute monster of a LEGO set that contains not just a great looking car, but a great looking package to go with it. Every detail is covered in this LEGO set. This set may be expensive, but it isa work of art. Maybe it is the car fan in me, but this is my favorite set of all of these difficult to build sets. If you are to own just one set, to me this is it. 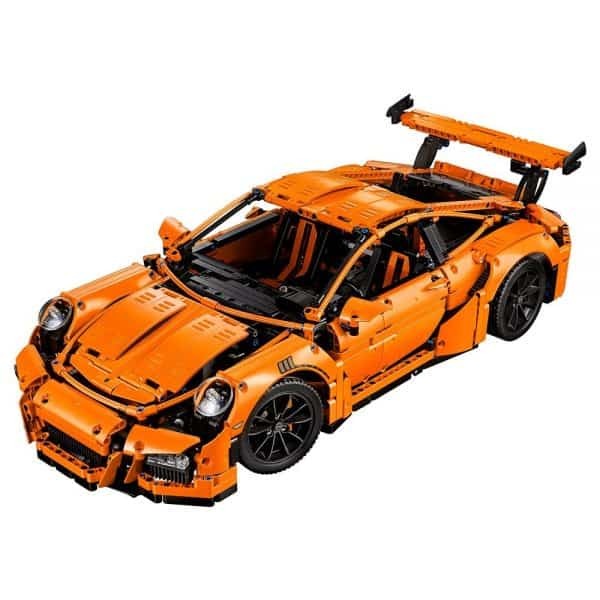 This LEGO Technic Porsche 911 GT3 RS set is beautifully detailed. With 2704 pieces, it is recommended for 16 and older, but we find it to be doable for 13 and up. The instructions have you build this car in a very similar order to how an actual Porcsche is really built. This beautiful car measures over 6” high, 22” long, and 9” wide. Included with the set is a book detailing the history of Porsche GT vehicles. LEGO and Porsche engineers spent a year making sure all the mechanisms function. The only downside to the great working gear train on this Porsche is that it is hard to see once the LEGO Technic Porsche is fully put together. This set is beautiful from opening the box, through gear trains, and through final assembly. I strongly recommend that this set not be given to anyone under than 14 without adult supervision. 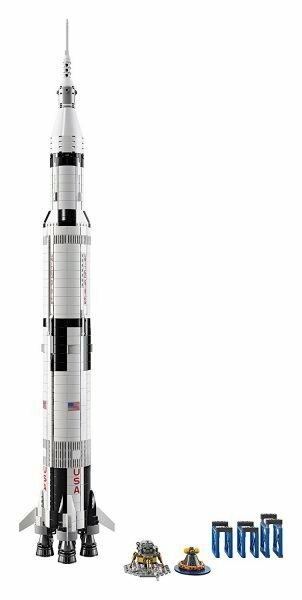 Summary: NASA and space rocket fans: This amazing replica of Apollo Saturn V is for you. It features 5 different removable rocket stages to represent the different phases of the mission. This intricate and challenging set is over 39 inches tall and included are 3 different stands so the model can be displayed horizontally. Great rocket fins, nozzles, colors, USA decals, and the overall huge height bring the Apollo Saturn V to life in this set perfect for girls and boys who want a challenging LEGO set to build. This is a great piece to stimulate the engineer in a teenager who loves LEGOs. 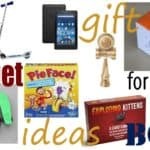 It is a great STEM toy for your teenager and would make a great Christmas or birthday gift. These Star Wars LEGO Sets are not only fun for teens and adults alike, but are they perfect for Star Wars fans. They make great LEGO sets to build again and again, and they also make a great decoration after completion. These challenging Star Wars LEGO sets cover some of the most iconic crafts in all of Star Wars. They are fun for adults, teens, and children, but they take a lot of time, patience, and organization. The Millenium Falcon is the crown jewel of Star Wars rebel Han Solo. It comes to life in this huge LEGO set which contains 7541 pieces. This Star Wars set is great for adults and teens. Included are 4 figures from the original Star Wars crew: Han Solo, Chewbacca, Princess Leia, and C-3PO. It also includes three Episode 7 and 8 figures: Older Han Solo, Rey, and Finn. Measuring over 33″ long, the Falcon includes a blaster cannon that is revealed by sliding the panel open. An included card explains the specs and dimensions of the Millennium Falcon from the movies. 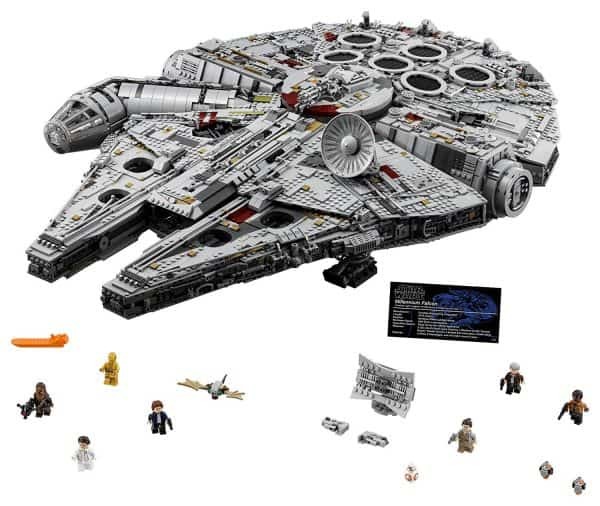 This Star Wars LEGO set is perfect for ages 14 up to adult. A Star Wars LEGO collection is never complete without a Death Star. This large detailed cruising planet destroyer takes all of its over 4016 pieces to complete. This huge Star Wars Death Star contains 25 detailed mini figures: Darth Vader, Emperor Palpatine, Grand Moff Tarkin, Imperial Navy Officer, Imperial Officer, 2 Stormtroopers, 2 Death Star Troopers, 2 Emperor’s Royal Guards, 2 Death Star Gunners, Death Star Droid, Obi-Wan Kenobi, Chewbacca, Princess Leia, C-3PO, Han Solo (disguised), Luke Skywalker (disguised), Luke Skywalker (Tatooine), and Luke Skywalker (Final Duel), plus R2-D2, an Imperial Astromech, and a buildable Dianoga trash compactor monster. These mini figures bring the adventure to life for play or modeling. 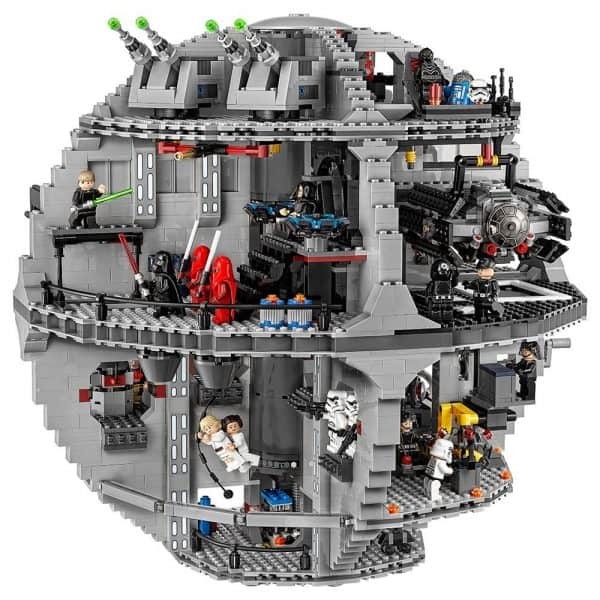 This Death Star Set includes classic movie scenes staged inside it including a trash compactor, detention center, and Emperor Palpatine’s throne room. This is a fun LEGO set for adults, teens, or older kids. 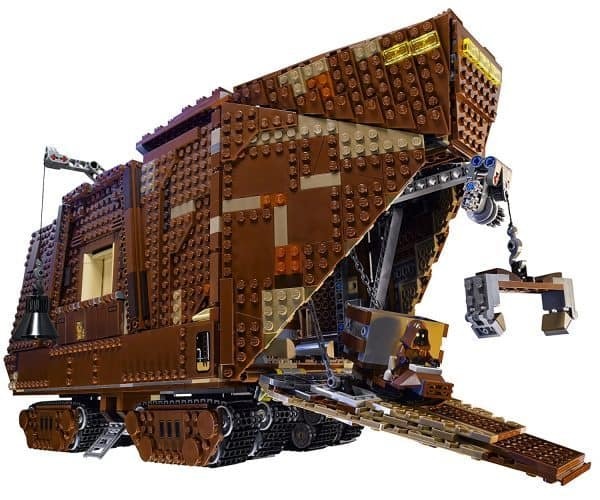 Summary: This large Sandcrawler LEGO Set is a great representation of the Sandcrawler found in Star Wars Episode IV—A New Hope. The 3296 pieces come to life with 7 mini figures: Luke Skywalker, C-3PO and 4 Jawas, plus R2-D2, R2 unit, Uncle Owen, R1-series Droid, Treadwell Droid, Gonk Droid, and R5-D4. There are also some fun mechanisms including a 8 different tracks that can be steered, a front door that can lower to form a ramp, two claws that can be lowered, and a speeder bike that allow staging of scenes from the movie. Summary: There is no ship of greater intimidation in the Star Wars Galaxy than the Empire’s Destroyer. Teens and kids alike will get a thrill with this incredible ship. 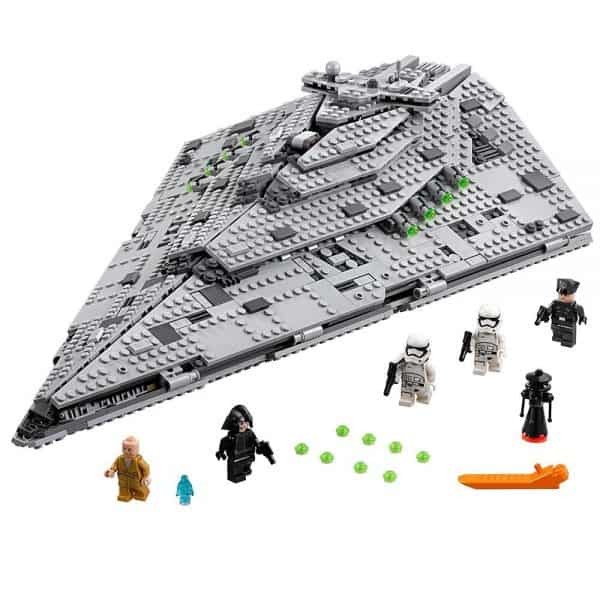 This Star Wars Star Destroyer will bring hours of fun with its 6 mini figures: First Order Officer, Supreme Leader Snoke, First Order Stormtrooper Sergeant, First Order Stormtrooper and First Order Shuttle Pilot, BB-9E, and a buildable Medical Droid figures. It also includes multiple weapons to allow interaction and pretend combat play. This set is probably more appropriate for younger audiences; I don’t think adults will get the same enjoyment out of it that a young teen would. The top panels open up to show the interior of the ship. Although this set can be played with, it is still mostly a display item. Summary: This is the biggest TIE Fighter that LEGO has ever made. It has the classic black and white colors of the rebel’s craft plus the angles and spacing that make it feel like you are part of the movie. This set includes a TIE Fighter pilot with a pistol weapon. The top hatch opens to allow you to put the minifigure pilot in. This set is not the hardest set to build, but with 1685 pieces it is still fairly difficult and will take a few hours to build. Summary: This infamous shuttle from the Star Wars series comes to life in this great set. 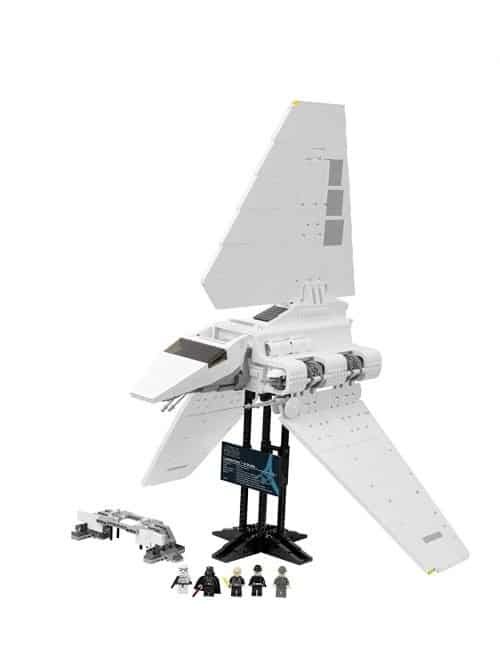 This model is a little smaller in scale and build requirements compared to the others listed, but it is still over 900 pieces. The Imperial Shuttle Tydirium set comes with 5 mini figures including Luke Skywalker and Darth Vader. This Star Wars Lego Set would be enjoyed by any serious Star Wars fan. 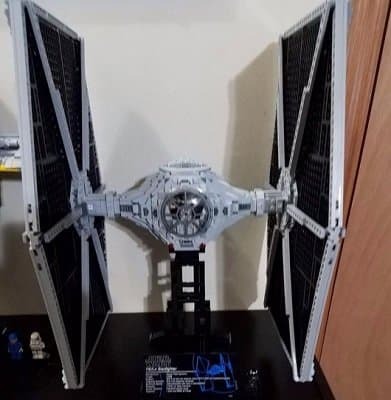 The included mount is great to display this Imperial Shuttle. From Harry Potter to Batman, these adult and teen LEGO sets are complex, challenging, and perfect for the adult LEGO builder. These sets take some of our favorite characters immortalized in books and movies and combine them with a large challenging LEGO model. Some of these sets will truly bring to life some of the most famous scenes from Hollywood. 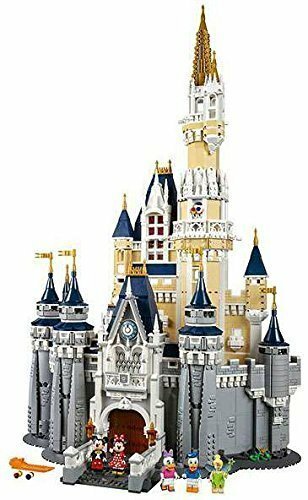 Summary: Experience the magic of Walt Disney with this elaborate and challenging castle LEGO set for adults. Your young son of daughter may love looking and playing with this, but this large LEGO set will definitely take an adult touch to build. This set truly captures some of the remarkable details of this iconic castle. If you are going to tackle this build, make sure to give yourself at least 13 hours to build this unless you bring a friend. What Disney castle is complete without a few friends? Mickey, Minny, Donald, Daffy, and Goofy bring this Disney LEGO set to life. Remove the roof of the castle to find Cinderella’s glass slipper and some Disney magic. 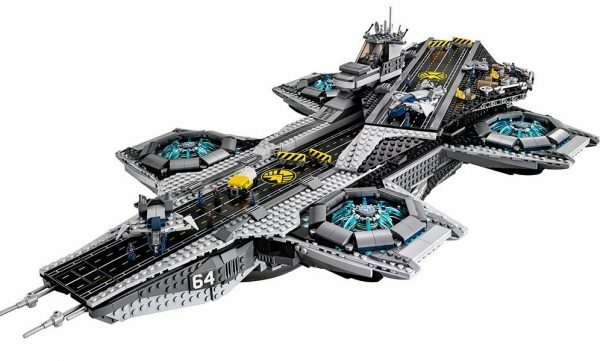 Summary: Marvel Agents of Shield Hellicarrier is 2996 LEGO pieces and over 31″ of superhero complexity and challenge. This teen LEGO set is challenging enough to keep anyone busy for hours. It not only contains the Hellicarrier, but this set also contains 3 microscale Quinjets, 3 fighter jets, a gasoline truck, and 2 forklift trucks. I really enjoy how the rotors look and feel. The blue rotors can be turned by hand. Lego Minifigures Nick Fury, Black Widow, Captain America, Hawkeye, Maria Hill, and 8 shield agents are included to help create a unique Shield experience. You can buy three extra light and powerfunction kits if you want to bring this set even more to life. Summary: LEGO Ninjago fans, we have the set for you. 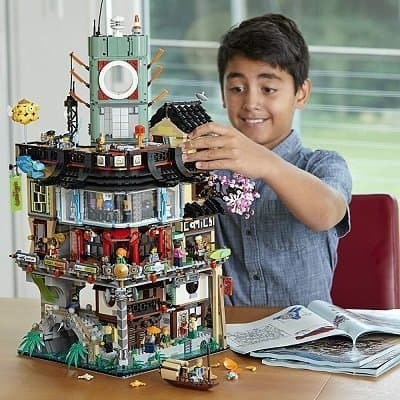 Tweens and Teens are going to love this large Ninjago city set which Includes 16 great looking minifigures including Ivy Walker, Misako, Jay, Kai and Lloyd Garmadon, Green Ninja Suit, Jamanakai Villager, and Sally. This city set contains 3 magical levels and each can be taken off of the city to be played with individually. This set is covered in LEGO Ninjago world. On every floor, on every poster, on character there are so many great details. My favorite features are the posters that can be changed out, the elevator which allows you to move minifigures up and down between the floors, and the rooftop sushi bar. Make sure to give yourself about half a day to build. 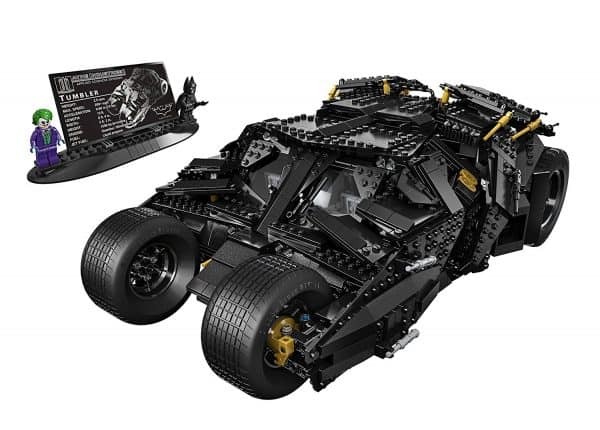 Summary: The Dark Knight is back in this great Batmobile LEGO set called The Tumbler. If you are a Batman and challenging LEGO set fan, this is a great choice. This large vehicle is dynamic and full of awesome details. The Tumbler set also comes with a spec sheet on the vehicle from the movie. There is an additional light kit available separately that really adds a lot to the look of this set. Plan on at least 8 hours for this LEGO Dark Knight build. Some of the key features of this set are custom wheels, great looking cockpit that fits a minifigure, and included movie spec card. This set looks and feels much bigger than the picture shown. 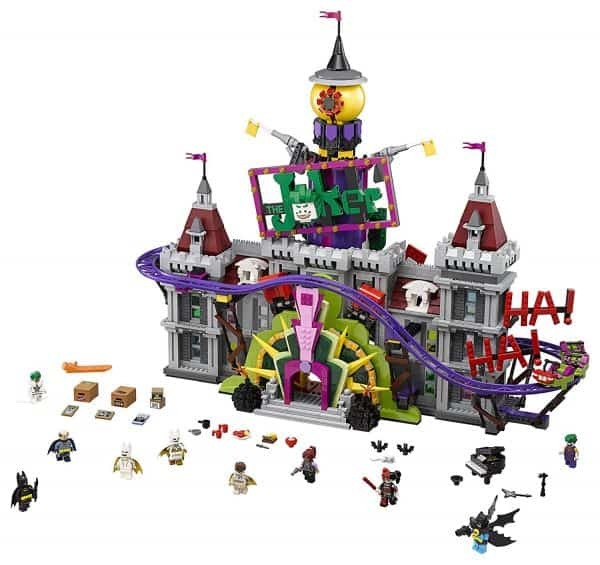 Summary: The Joker’s Manor in this replica from Batman the Movie is a huge adult LEGO set which contains 3444 pieces. This set is themed exactly how you would expect from the Joker’s lair. It has a working roller coaster as well as punching bags, bold color, a bendy mirror, and a trapdoor. The Joker’s Manor contains a cinema room, music studio, pool room, and kitchen, among other rooms. This set contains 10 mini figures including: The Joker, Batman, Barbara Gordon, Harley Quinn, Nightwing, Alfred Pennyworth Classic Batsuit, Disco Batman, Disco The Joker, Disco Batgirl, and Disco Robin. The best features of this set are the playability of it. It truly allows for imagination to run wild including hosting a disco party with the disco minifigures. This set may not be cheap, but the details, and fun of the set make it worth it. This challenging set is highly recommended as a buy for Batman LEGO fans. 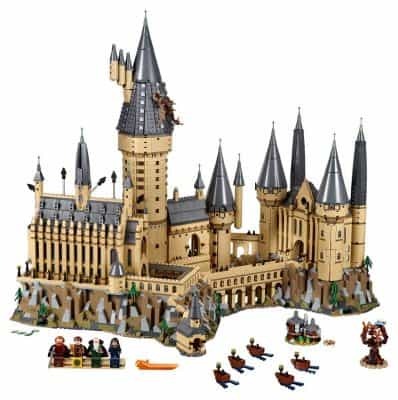 Summary: I am a huge Harry Potter fan, and this LEGO set is absolutely amazing. Just like everything that JK Rowling does, this set has every detail that the Hogwarts castle should have. This set has 4 minifigures that represent the founders of Hogwarts including Rowena Ravaenclaw, Godric Gryffindor, Helga Hufflepuff, and Salazar Slytherin. It also includes a whopping 27 microfigures including everyone’s favorite movie characters–Harry Potter, Ron Weasley, Hermione Granger, Lord Voldemort, Albus Dumbledore, Severus Snape, and many, many more. This gorgeous and difficult LEGO set takes over 6000 pieces to come together. This set is not cheap, but is worth it because of all the great details that are viewable everywhere with this castle. Plan on spending at least 2 days to build this set, and I’d strongly recommend a helper. 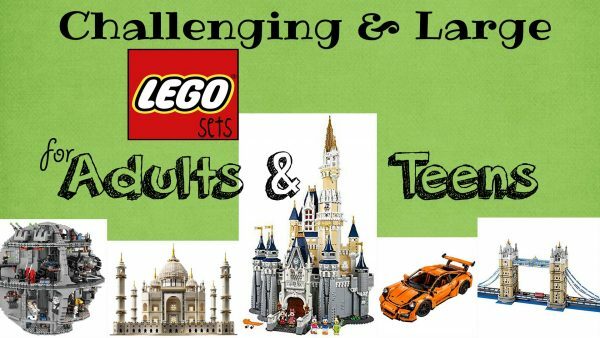 Younger kids may enjoy the playability of this set, but this set will require an adult or older teenager to build. This set is truly a great build and an amazing large LEGO set for teens. 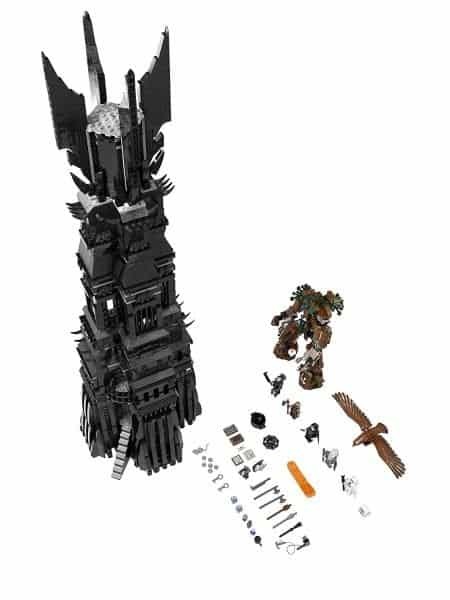 Summary: The Tower of Orthanc represents one of the most iconic scenes in Lord of the Rings. Who could forget Sauruman’s encounter with the Ents, or Gandolf the Grey’s rescue from an Eagle. This large LEGO set is for teens, tweens, or adults contains 2359 pieces. It includes the following mini figures: an Ent, an eagle, Sauruman, Gandolf the Grey, Grima Worm-tongue, an Uruk-hai, and the Orc Pit master. The interior of the Tower of Orthanc Building Set is incredibly detailed and contains many rooms to recreate scenes from the Lord of the Rings. This set is somewhat difficult and tedious to build, but the finished results are stunning.